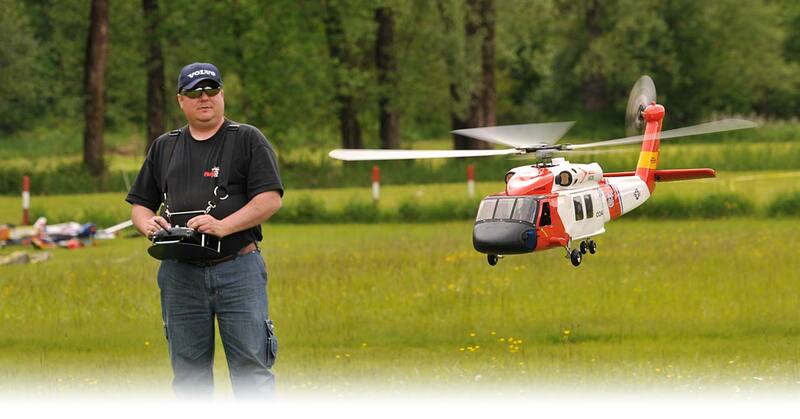 Flying helicopters is a difficult discipline in model aircraft flying. Model helicopters are therefore quite rightly described as the ultimate class in model flying. The Glocknerhof offers great holidays for pilots of model helicopters and drones. We have built a special airfield for helicopters to train hover and for drones to fly FPV. It is situated about 200 m southward of the Glocknerhof Model Airfield. There is plenty of space and freedom for helicopter fans to practise. A convenient and short trip to get there, tables, electricity (230 and 400 V), potable water and WiFi at the airfield offer everything your heart could desire. Helicopters are also welcome at the public Model Airfield in Amlach, especially as many of the local pilots are helicopter pilots themselves. So you must pay it a visit! At the Glocknerhof itself we provide hobby rooms where you can store and repair your models. It is also possible to use the Model Airfield Glocknerhof during wintertime. A requirement for flying model aircrafts in the Drautal Valley is valid public liability insurance. Please complete this form as proof of cover: Model aircraft registration form. In the evening you can enjoy our special pilots‘ drinks in the Hotel Bar. The hover airfield is suitable for any kind of drones. In the area southward of the hover airfield it is is possible to fly FPV (First Person View, Flying with virtual reality headset) without get in the way of the model aircraft of at the main airfield. If you have any questions, do not hesitate to contact us. Please consider the regulations at the airfield Glocknerhof (at Downloads) and the Austrian regulation regarding FPV - have a look at: www.prop.at.